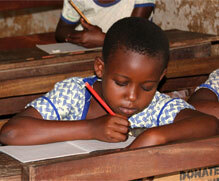 Read how our work is helping to provide education and sustainability for children and families. Join our email list receive our monthly newsletter. 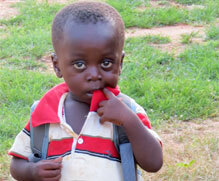 Your financial support makes a difference for each child and mother in our program. 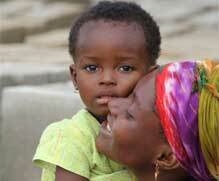 Become a Child of Africa partner. 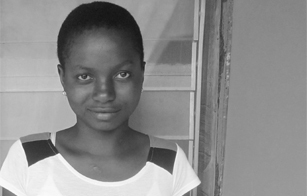 One of our sponsored students, Sarah, needs a surgery that is not available in Ghana. ACEF is seeking a medical visa and funds for her surgery. Here’s how you can help. Help an at-risk girl stay in school through ACEF’s Girl Child Education Club. You can provide fabric for a seamstress apprentice who is in our Women’s Sustainability Program. ACEF © 2019 | Africana Children's Education Fund is a licensed 501(c)(3) non-profit charitable organization that meets the educational and physical needs of at-risk families in the Ashanti region of Ghana, West Africa.